As if the turnout at the 2016 SSA Spring Conference and Trade Show in Dallas wasn’t amazing enough within its own rights, the Inside Self Storage World Expo has completely outperformed itself, yet again. 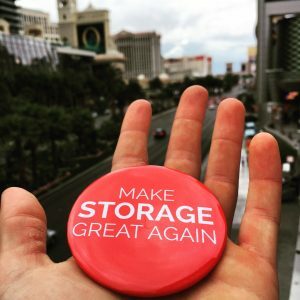 With well over 3,000 attendees from all over the world, the week was described by one attendee as, “a giant line of investors ready to swipe their credit cards for $1,000 just to learn about self storage for the day.” In my prior article – Everything Is Bigger In Texas – I highlighted the fact that we are in the midst of one of the strongest Sellers’ markets of all time. The ISS World Expo only confirms the sentiment, which in turn only further supports my call to action: NOW IS THE TIME TO SELL. The writing is on the wall – we are close to, if not already at the top of this Sellers’ market – if your plan is to sell in the next 3-5 years you need to capitalize on this momentous market. Let Lindsey Self Storage Group be your guide to success. Contact us today for a 100% completely FREE Broker Opinion of Value. PreviousPrevious post:Everything is Bigger in Texas!NextNext post:897 N Main Street – SOLD!